I love experimenting with spices, but it can definitely get expensive (yes, Saffron, I'm talking to you!) if I'm not careful and I don't like to buy large quantities of spices unless I know I'm going to use them well before their freshness is gone. Until I started cooking constantly, I never really gave much thought to my spices and how long their flavor will last. Spices don't go bad, there's no danger to your health in using older spices that have been on the shelf for awhile, so that's good news. However, they do lose their flavor after a time. So how often should you replace your spices? The general recommendation is 6 months, but I find if you store your spices correctly (in an air-tight container in a cool, dry place) they can last much longer. Whole spices can last much longer, like cinnamon sticks, whole nutmeg or peppercorns, while ground spices don't last quite as long. To keep from needlessly replacing your spices and wasting money, a great way to tell if they need replacing is to simply smell them. With dried herbs like oregano, basil, thyme, etc., you want to go one step further and rub them between your fingers. If the smell still isn't strong, they've probably lost their flavor. Sometimes herbs don't smell in the jar, but when rubbed they smell stronger because you're releasing their oil, so they're still good to go. There are definitely a few spices that I use constantly and find myself running out of and replacing well within a 3-6 month timeframe. There are also a few spice blends that I really enjoy. Quality spice blends can be a great solution to buying too many separate spices that you might not use and there are a few that I rely on all the time from Penzeys. This is an Italian herb blend that really livens up pizza, pasta or any marinara sauce. I discovered this fantastic all-purpose seasoning about 6 months ago and use it on everything from roast chicken, roasted veggies and fish. It's a flavorful blend of pepper, lemon peel, garlic and onion. I like that it doesn't include salt, so I can customize the level of salt in my recipes. 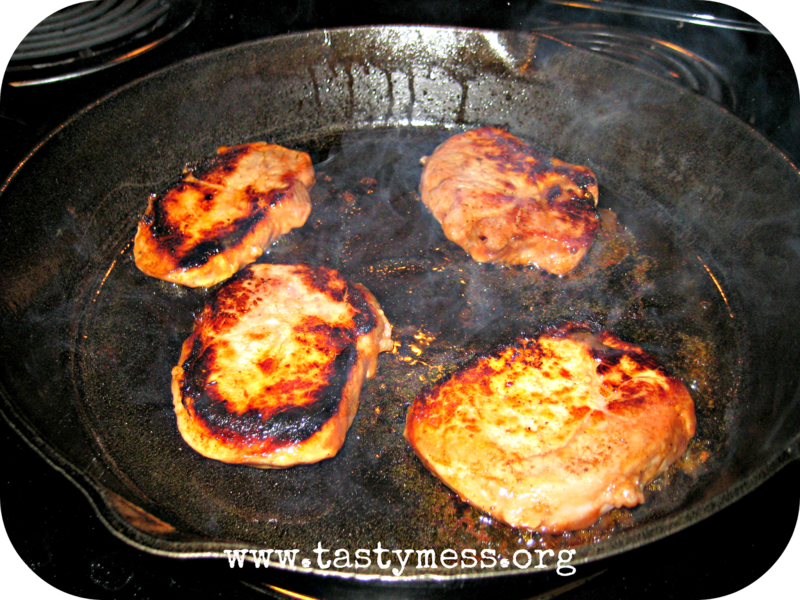 The recipe I want to share with you is for Hoisin Five-Spice Pork Chops. It relies heavily on Chinese Five Spice Seasoning for its flavor and its one of those seasoning blends I've been wanting to try for awhile, but I hadn't found the right recipe. I came across this recipe in an issue of Food Network Magazine and knew I had to give it a try. The recipe calls for grilling the chops, but since I don't have a grill, I used a cast-iron skillet to get that great charred flavor. Though the recipe uses sirloin chops, you could really use any type of pork chop or even chicken would be great. If you swap in chicken, just keep an eye on your cooking time and use a bone-in cut like thighs or drumsticks to keep the meat moist and flavorful. I hope you've picked up a few tips on spices and give Chinese Five Spice a try, its well on its way to becoming a pantry staple in my kitchen!